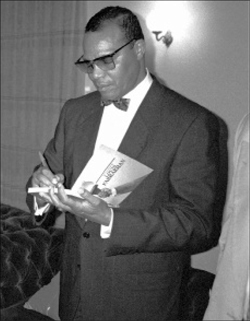 The Honorable Minister Louis Farrakhan commented one day on why Jesus said to certain hard-hearted opponents that his word had no place in them. Then he spoke of the highest aspects of the truth, which “Jesus” spoke, which was of such a spiritual quality, rooted in the highest level of divine love, that it prohibited the mentally coarse people who rule this world to be able to access and act on it. The love level of such persons hardly qualifies to be described as love. The condition of life on earth, which they rule and have produced, is overwhelming proof against themselves. Consequently Jesus was moved to say to the wicked “My word has no place in you.” The truths he spoke caused one—who truly accepted it—to soar into the highest level of divine realities. As the Holy Qur’an uses the word “bird,” with reference to people, so did the Honorable Elijah Muhammad use this same term, at times, with reference to people, on every level? We know that to translate words from one language to another is to give the meaning of the words being translated. To transliterate words, from one language to another only means to give, or try to give, the sound equivalent of the words in one language to another. The concept in “tair” was among the several things, which came to me shortly after the Minister informed me of his vision. To me, Minister Farrakhan, is one of the greatest souls Allah ever created. Let us remember, this was said to him before the fall of the nation in 1975. 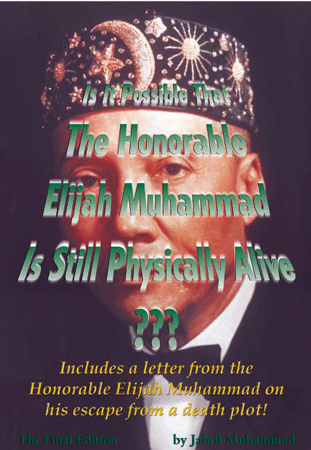 The Honorable Elijah Muhammad was looking into the future, which we are in now. The footnote reads: “The word tair or ta’ir means a bird, but just as the word asad (lit., a lion) is metaphorically used for a brave man, in a parable it is quite unobjectionable to take the word tair as signifying one who soars into the higher spiritual regions and is not bent low upon earth or earthly things. In Surah 6:38 it is said: ‘And there is no animal that walks upon the earth nor a bird that flies with its two wings but (they are) communities like yourselves,’ the meaning apparently being that among men there are those who only walk upon the earth and do not rise above their earthly concerns, while others soar into the higher spiritual regions. Elsewhere (7:179; 25:44), those who having hearts do not understand, and having ears do not hear, are likened to cattle. So what is meant here is that Jesus, by breathing a spirit into mortals, will make them rise above those who are bent low upon the earth, and the apostles of Jesus, who were all men of humble origin (which is referred to in the word dust in the parable), whose thoughts had never risen higher than their own humble cares, left everything for the master’s sake and went into the world by the command of the master preaching the truth. The Honorable Elijah Muhammad once referred to Minister Farrakhan as “a star without equal” as a bird in the air, whom they won’t be able to catch, as noted above. He was right. He told Minister Farrakhan that the wicked would set traps for him; he would spring them, but not get caught in them. Why? Is this because he is that wise? He is a wise man. But he has humbly said—and demonstrated time and again—that he relies on the Two Who back him. His detractors and opponents make the error of thinking they are dealing only with his mind, brilliant as it is. Their dense spirituality prevents them from seeing Those with Whom they are really opposing of the truth. So they think that when they get, to some degree, up into Minister Farrakhan’s mind, they have trapped him. They delude themselves into thinking that they have overcome him, gotten up above him and then they can “bomb” him with what they think is wisdom. The fact is they have never reached, nor gotten up above where he is, due to the continuous forward motion in him—which I’ve explained back in 1981 when I set forth what I meant by Farrakhan: The Traveler, Volume One. If the mind is the highest aspect or part of each person each of whom, as the Honorable Elijah Muhammad says is the universe in miniature, here again, is the final battleground where on the spiritual plane the final battle is taking place. The winner’s weapon is above top secret. He who is in possession of it is already the winner before the battle ever begins. Read the words of Minister Farrakhan Volume 33 Numbers 47 and 48 September 2nd and 9th issues of The Final Call newspaper.